Syrian dictator Bashar al-Assad has been waging a brutally effective "siege and starve" campaign for years, military analysts say, a practice his regime will likely continue as it advances to capture two key rebel-held provinces — Idlib in the north and Dara'a in the south. Syrian dictator Bashar al-Assad has been waging a brutally effective "siege and starve" campaign for years, military analysts say, a practice his regime will likely continue as it advances to capture two key rebel-held provinces — Idlib in the north and Daraa in the south. "Siege and starve" is as grim as it sounds, said Chris Kozak, a senior analyst with the Institute for the Study of War, where he focuses on Syrian strategy. Bombing raids destroy hospitals, mosques and markets, making existence in opposition-held regions untenable. The tactic involves fighters cordoning off opposition-held terrain and proceeding "to make life inside that terrain miserable" through a combination of sieges, cutting off food and medical supplies, waging airstrikes and ground attacks, "and keeping the pressure on those pockets until life becomes so unsustainable that people would agree to a reconciliation deal or evacuation," he said. "There's a method to the brutality," Kozak said. "The Syrian Arab Army has been trying to avoid these painful, urban block-by-block fights, and instead they're willing to be patient and to starve out these populations ... until they cannot function." The campaign, aided by Russian air power and Iranian ground forces, helped to empty out eastern Ghouta, which was home to an estimated 400,000 people before the latest offensive began in March. The formerly rebel-held enclave just east of the capital of Damascus fell recently to the regime after weeks under siege and culminating in the suspected illegal chemical attack in Douma, the last town that was under opposition control. Assad's goal, as the Syrian dictator stated in 2016, "is to recapture the whole of Syria" and claim total dictatorial control over the nation. "Assad is winning the war because he has a clear strategy, which is to absolutely crush all resistance," both armed and political, said James Jeffrey, a former deputy national security advisor who has served as the U.S. ambassador to Iraq and Turkey. "He's trying to terrorize the population and drive them from their homes in the country." Experts estimate Assad has consolidated 70 per cent of territory. More importantly, about two-thirds of the remaining Syrian population lives under his rule. That's significant, Kozak said, given violent extremist groups such as ISIS, have been squeezed out to empty desert areas, making them less strategically relevant. Assad has all the large cities after five million refugees fled the country. The regime's success can be attributed in part to a fractured opponent made up of many rival insurgent factions, as well as "fickle" support from foreign nations like the U.S., said Michael O'Hanlon, who specializes in military strategy and foreign policy at the Brookings Institution. "That's how this war evolved from a stalemate to a win for Assad — at least in the western quadrant of Syria." After Ghouta's fall, Idlib province to the northwest is likely to become the next bloody battlefield, given its large size and standing as a bastion of rebel activity, O'Hanlon said. He said Idlib will likely be the next big land grab. The province, known as a heartland for displaced rebels with nowhere else to go, was meant to be a refuge for opposition forces. It's also an important highway linking Damascus towards the Turkish border, and overland routes from Damascus to coastal regions. But Kozak said Idlib "could also be one of the last places" the pro-regime coalition would seek — precisely because it's is getting even more concentrated with exiled rebels as other opposition areas empty out. In an interview with the Arab News, a leading opposition figure said he fears rebel-held Daraa, near the Jordanian border, would be next to face a chemical attack. "I am sure that Assad still has a chemical weapons stockpile and will use it when he needs it in the process of displacement," said Hisham Marwah, a representative of Syria's opposition High Negotiations Committee. 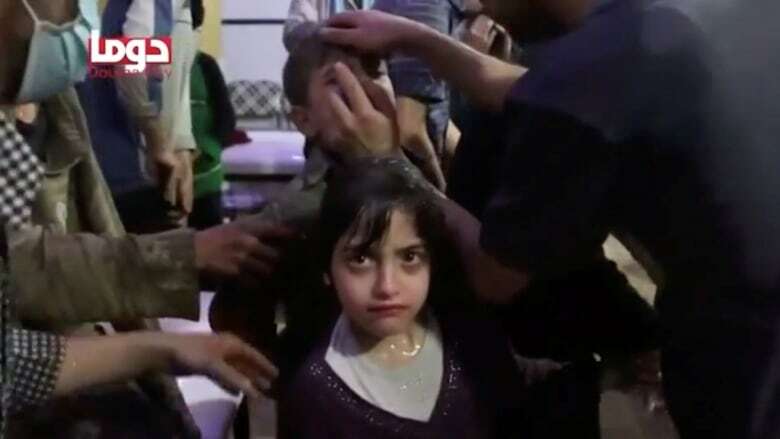 "In Douma … when civilians refused to leave, he used chemical gas to drive them out, and this process will be repeated." Kozak suspects Eastern Qalamoun, near the capital Damascus, or pockets of northern Homs, to be "the last low-hanging fruit for the regime." Assad may see land gains there that can be made without needing to deal with the protection or patronage of neighbouring states or powers such as the U.S. Within the last two years, major territorial reclamations have come on the backs of Russian firepower. 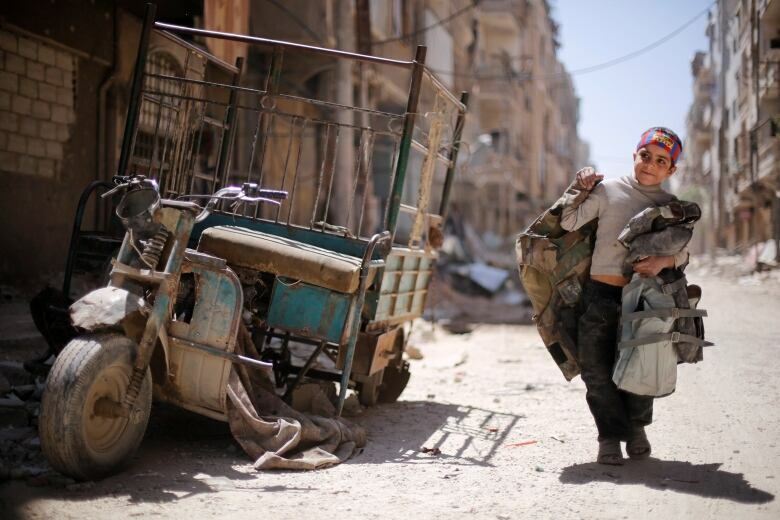 "Carpet-bombings" in Aleppo last year left neighbourhoods totally destroyed. "They literally just wiped out the city yard by yard, until they had it back," said retired Lt. Col. Dan Davis, a military expert and senior fellow for Defense Priorities, a Washington-based think-tank. "So Assad's got a pile of rubble as his prize. But at least it's his pile of rubble." 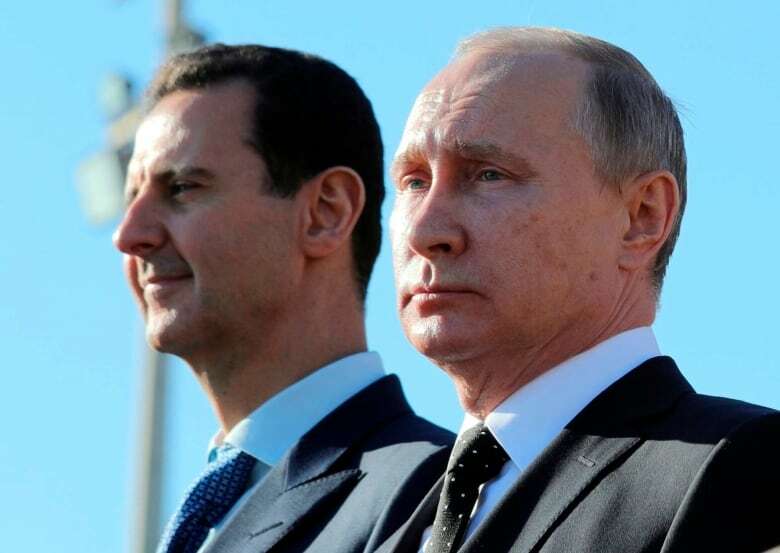 Bleak as the situation is, regime change in Syria could be riskier, if it means an Al-Qaeda affiliate filling the leadership vacuum and furthering the destabilization of the state. Anti-Assad regions could become hotbeds of jihadist activity, repeating the situation in Libya, when the fall of the late Muammar Gaddafi preceded the rise of ISIS. Although U.S. President Donald Trump ordered a missile strike on three Syrian facilities over the weekend to impede Assad's development and possible future use of chemical weapons, the strike was so narrow that it didn't target artillery, jets and helicopters. 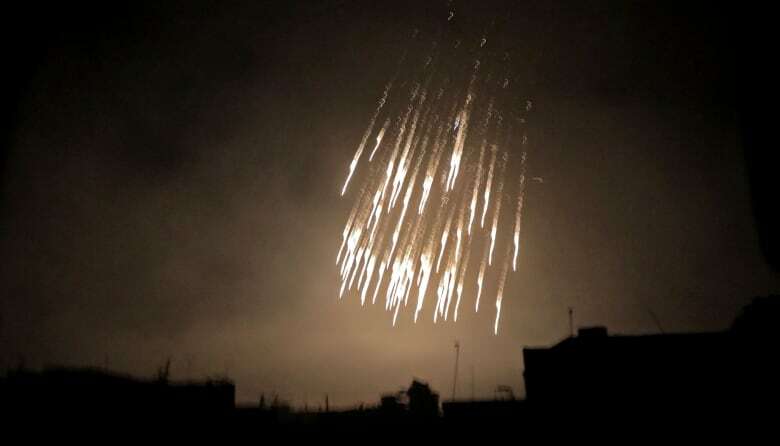 "These token air strikes had no effect on Assad's overall military position," said Kamal Alam, a Syrian military expert who is a visiting fellow at the Royal United Services Institute in London. "Which means he can march to his victory, really." "Assad knows the West has no coherent strategy."